Welcome to the “Age of the Customer.” Are you ready? Increased competition in nearly every market is leading businesses of all types to search for ways to attract and retain their ideal customers. Through technology, customers have unprecedented access to information about product and services. With a few clicks, they can compare your company with your competitor’s offering, and learn how others perceive you. As competition and buyer empowerment compounds, Customer Experience, or “CX”, is proving to be the only truly durable competitive advantage. Not only does exceptional CX make customers happier, it drives customer behavior. More purchases and renewals. More referrals and positive word of mouth. Of course, no single metric is going to give you a complete picture, and you will have to discover how to adapt the big three to your business case. Nonetheless, these tried and true customer experience survey methodologies are used across industries, and are the foundation of a strong “voice of the customer” program. 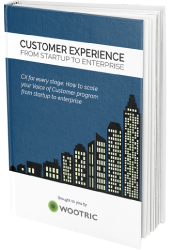 Customer experience (CX) is the cumulative impact of every touchpoint throughout the customer journey. CX managers first determine what a positive customer experience entails for their target clients, theorize and implement changes they believe will have the most impact, and use results to optimize each customer interaction. With new technology and social media, we have more ways than ever before of interacting with our customers. And, that means, we have nearly infinite opportunities to delight them – or disappoint them. But focusing only on individual touch points, even if your goal is to maximize satisfaction with each one, is a mistake. Because CX isn’t just about the customer’s experience in the moment; it’s about how these touchpoints fit into the context of their end-to-end journey with your company. How do I measure Customer Experience? Measuring customer experience (CX) requires a layered approach that can include in-depth user interviews and gathering data at key points of contact, as well as tracking metrics like Net Promoter Score (NPS), Customer Satisfaction (CSAT), and Customer Effort Score (CES). 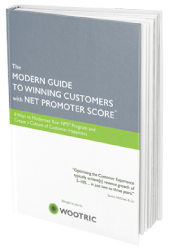 Net Promoter Score (NPS) is a CX metric that surveys customers based on one question: “On a scale of 0 to 10, how likely are you to recommend us to a friend or colleague?” Customers who are promoters score 9 or 10. Passives score 7 or 8. Detractors score 6 to 0. NPS is such a valuable tool for measuring not just customer experience, but also customer loyalty, because it transcends single experiences. It is often referred to as a brand or relationship metric. 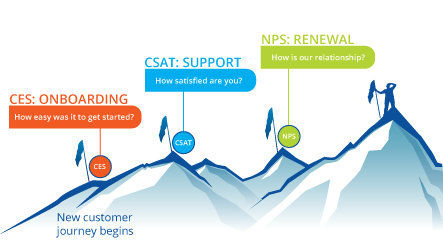 The NPS question asks the customer to draw on the sum total of their experiences with your company, not just the most recent, making it a good indicator for repurchasing (and growth). As a result, it is often considered a “board level” metric. It is paired with an open-ended follow-up question, like “Care to tell us why?,” so you also get rich qualitative feedback that can guide improvement efforts from product to support to marketing. While NPS surveys are sometimes deployed once or twice a year, a good, modern NPS program will use “drip NPS” to keep an ongoing pulse on customer sentiment, so you can react in the moment, instead of after the fact. If you are launching a customer feedback program, the Net Promoter cycle is a great place to start. However, NPS surveys are high level. How do you learn more about the experience you provide at specific touch points or transactions along your customer’s journey? This is where CSAT comes in. What is the Customer Satisfaction Score (CSAT)? Customer Satisfaction Score (CSAT) is the most popular transactional metric. A CSAT survey asks a customer how satisfied they are with a recent interaction–often a purchase or a customer service call–on a rating scale. CSAT is flexible and highly customizable. You can also ask multiple questions in the CSAT format to create a longer survey (and then average those responses for a composite CSAT score), but we recommend you keep it simple. An open-ended follow up question allows your customers to tell you what attributes of satisfaction are working–or not working–for them. In the realm of CX, a short CSAT survey is most often used to gauge customer satisfaction with interactions with support personnel. It’s a great tool for identifying support agents who may need more training, or to quantify the impact of your last team-wide training effort. Customer satisfaction metrics are useful for gauging the ‘happiness’ resulting from recent interactions, which is valuable information, especially when you’ve been making changes and need to track the results. You will need to dig into the qualitative feedback you receive to understand which attributes of satisfaction are most important to your customers and which are areas that require improvement. In the food delivery example, those attributes could be promptness of delivery, quality of food, price/value, etc. A related survey is PSAT or Product Satisfaction Score. 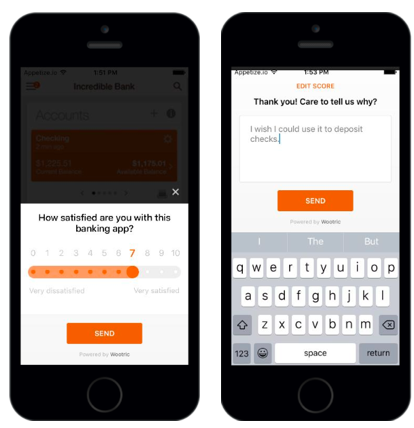 Popular with software developers, an example is an in-app survey that asks a software user “How satisfied are you with [this product or feature]?” The specific, contextual feedback that users provide in a PSAT survey helps to prioritize a roadmap of product improvements. Customer Effort Score (CES) surveys ask the customer “How much effort did you have to expend to handle your request?” and is scored on a numeric scale. It’s a customer service metric that is used to improve systems that may frustrate customers. Essentially, CES advocates believe that when it comes to customer service or support, “effortlessness” is the most relevant attribute of customer satisfaction. In fact, Technology Services Industry Association (TSIA) customer experience research confirms that exceeding customer expectations results in little change in loyalty. The CES survey helps you identify and remove obstacles, and solve problems, so your customers can find success with ease. A CES survey is typically deployed after a support interaction. But, for SaaS businesses, the CES survey can also help gauge the effort required to onboard a customer, the process of installing and becoming trained in the use of software. Onboarding can be self-service or high touch, and likely a combination of both. These steps that lead to a customer’s first experience of value are critical to success. CES survey feedback can help you get it right. According to the Harvard Business Review, CES can predict repurchasing even better than CSAT, making it a go-to, critical metric for SaaS companies, that depend heavily on successful onboarding and customer success to lay the foundation for repeat purchases. 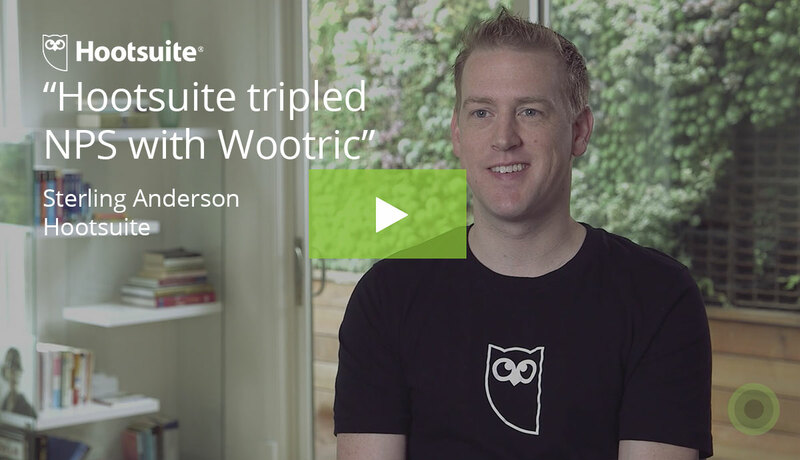 How do CX metrics work together? If measuring Customer Experience requires a comprehensive view, these three metrics help you get there. CX consultant Melinda Gonzalez says to “think in terms of layers.” Net Promoter Score delivers the big picture of customer loyalty and relationship over the long-term. 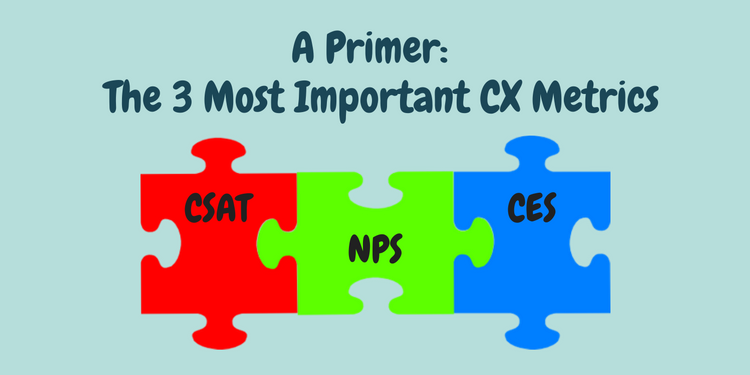 CSAT & CES are typically transactional metrics. CSAT can measure overall satisfaction on a number of attributes so you can discover and refine those that are most meaningful to your customers. And, Customer Effort Score dials in on one attribute, effort, and is incredibly useful for smoothing the customer’s path to their desired outcome. You’ll always need “The One Number You Need to Grow.” However, it’s 13 years later, and the numbers you need have grown. CX improvement takes focus, but modern survey platforms can help streamline the process. The reward is market success. When you edge out the competition through world class customer experience–think JetBlue, Starbucks, Charles Schwab and Trader Joe’s–your customers will reward you with repeat business and brand advocacy. How can I improve customer experience? Optimizing to improve customer experience begins with establishing a set point – your current metrics – and forming a hypothesis for how to improve it. The hypothesis is tested, and based on the results, a new hypothesis is formed to be tested again for further improvement. This series of testing and optimization is meant for agile companies and can be a challenge if you’re using dated methodology. 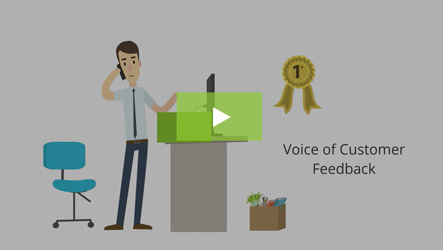 For example, a traditional approach of sending out feedback surveys only once or twice a year, often via bulk email to all customers, means that it can take a long time to see results and response rates can be low. Surveys that go out to a percentage of customers every day (to avoid survey overload) deliver results in real-time, which is especially vital for rapidly evolving products and services. Once you have access to nearly instant customer feedback, the challenge becomes digesting it and taking action. Customer experience isn’t just about making the customer happy during a single interaction, though it is important. In fact, each interaction is a small part of an equation that spans the entire relationship you have with that customer. With that in mind, you’ll want to start by taking stock of each potential interaction with your company, website, products, self-service support, and customer-facing representatives. Improving CX is truly a team effort, so you’ll want to systematically go through each touch point to see who is in charge of it, how well it’s working now, and what improvements are feasible to make in the short term and the long term.